A sunny day usually brings warmth and cheer. But it can also bring on headaches if precautions are not taken. Let's take a closer look at how those beautiful sunshine rays may either help or harm your headaches. 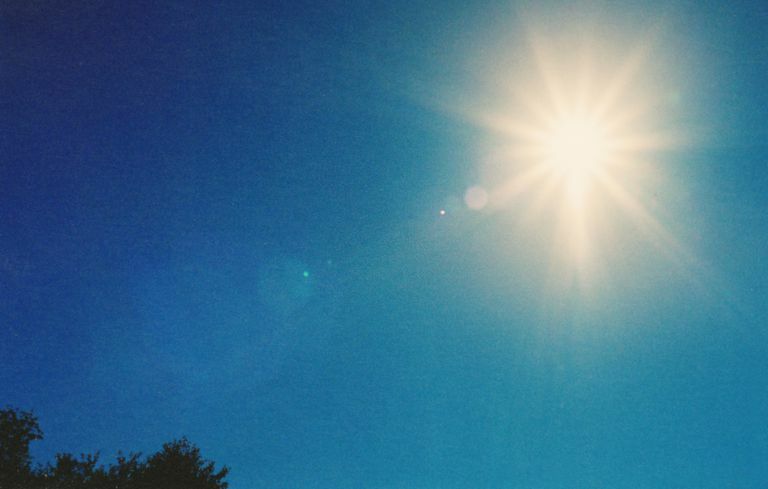 Sunlight itself is a migraine trigger, as revealed by a small study in European Neurology. In this study, people with a history of migraines from a medical clinic in Turkey developed migraines after being exposed to sunlight. On average, the patients developed a migraine five to ten minutes after sunlight exposure in the summer and after 60 minutes of sunlight in the winter. If your body is deprived of water, you can develop a migraine or a dehydration headache, which resembles a tension headache. So while you may lavish in the warmth of the sun on a summer Saturday, it's critical to drink ample amounts of water—at least 6 to 8 glasses daily (and more if you are exerting yourself and/or sweating). Being exposed to the heat of the sun can be dangerous. Heatstroke is a medical emergency that involves hyperthermia and neurological abnormalities, like seizures or problems with coordination. Both heatstroke and heat exhaustion are associated with a headache, even though a headache specifically related to heat exposure is not classified or coded on its own by the International Headache Society. Also, heat exposure may be a specific trigger for new daily persistent headache, which means your episodic or once in awhile headache could transform into a chronic, everyday one. All that said, if you plan on being out in the sun, please hydrate and find some shade. Of course, if you or someone near you has any signs of a heatstroke, please get emergent medical attention by calling 911. Ultraviolet light from the sun is an important source of vitamin D. While there are a number of reasons why people may be vitamin D deficient, being exposed to low levels of sunlight is one. People with vitamin D deficiency are prone to a condition called osteomalacia, which causes your bones to soften leading to diffuse bony pain. With that, you may be surprised to learn that vitamin D deficiency may be linked to headaches, both migraines and tension-type headaches. In fact, authors of one study in the Annals of Indian Academy of Neurology propose that the chronic tension-type headaches people with vitamin D deficiency sometimes experience may be caused by osteomalacia of the skull. Remember, a link or an association does not mean that one causes the other. Larger, randomized controlled studies looking at the relationship between vitamin D deficiency and headaches would be helpful. Lastly, while the sun is an excellent source of vitamin D, please speak to your doctor about the best and safest source of vitamin D for you if you are deficient. Getting too much sunlight can be dangerous, especially since it increases your risk of skin cancer. An oral supplement or dietary supplementation may be recommended for you. While many of us look forward to the warmth and relaxation of long summer days, please be mindful of the heat and potential for its harm. Wear sunscreen, keep cool, and drink plenty of water. It's a good idea as well to speak with your doctor about how to further protect yourself from the heat, especially if you are prone to headaches. Wober C, & Wober-Bingol C. Triggers of migraine and tension-type headache. Handb Clin Neurol. 2010;97:161-72. doi: 10.1016/S0072-9752(10)97012-7. Can a Headache Diary Help My Doctor Diagnose Me?